The Hatteras Island Genealogy Society and the Lost Colony Genealogy and DNA Research group will present details about the ongoing Lost Colony research on April 12 at the Avon Fire Station starting at 7pm. The presentation will report details on the Lost Colony DNA project and the Hatteras Island Family project. According to the North Carolina Society of Historians, who awarded the Malcolm Fowler Society award to the Lost Colony Genealogy and DNA Research group, it is possible that the colony was assimilated into the local Indian population and if so, they produced descendants. A DNA study will be valuable in determining who these descendants are when DNA from colonial ancestors can be located. The presentation on April 12 will report on DNA research about Hatteras families. The genealogy data base will be available for easy access for attendees to check for family members. Prior to the program a pot luck dinner from 6pm to 7pm will be offered and attendees are asked to bring a side dish or desert. For more information about the Lost Colony Research Group visit http://www.rootsweb.ancestry.com/~molcgdrg/. 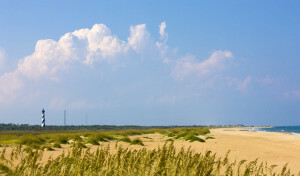 The Graveyard of the Atlantic Museum in Hatteras houses the shipwreck washed on the Corolla shore in December of 2009 that experts believe to be possibly the oldest shipwreck on the East Coast. According to Joseph Schwarzer, the director of the North Carolina Maritime Museums, this shipwreck is definitely the oldest shipwreck for North Carolina. The treasure hunter Ray Midgett and his friend Rodger Harris started investigating the mystery of this shipwreck about 10 years ago without believing they would ever see it. After the shipwreck revealed itself ashore, Midgett and Harris found a Louis the XIII French Coin on the timber of the ship, a priceless treasure to them. This 17th century ship sunk about 400 years ago. Schwarzer noted that the ship was made with wooden pegs or trunnels, which is an ancient technique of ship building. The archeological conservators are working hard to try and preserve the ship from further decay. This is surely a North Carolina treasure that is worth a visit! Click here for the complete story “Ancient shipwreck unearths treasure” by WAVY. A new project is in the works to find Hatters Island’s very own treasures and organizers hope it will help engage residents and visitors to identify the cultural, business and natural assets on Hatteras Island. The Hatteras Island Asset Mapping project plans to build an inventory of all of the great things about the seven charming villages on Hatteras Island. “We might be surprised by the wealth of assets that exist within our cultural and natural landscape,” says Susan West, a Buxton resident involved in the project. According to the group, cultural assets might be a church, a place where children play, or a place with special significance, such as an old fish camp or where the mail boat docked. A natural asset might be a favorite place to watch sunsets, and a business asset might be a shop that sells locally-produced art or jewelry or locally caught seafood. 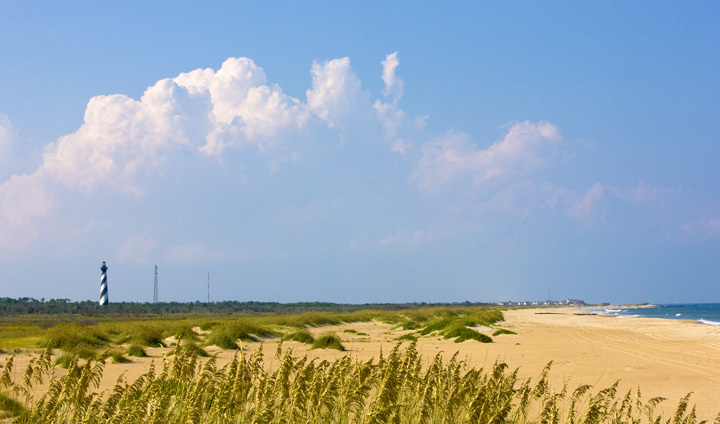 The Hatteras Island Asset Mapping Project is just getting started. For more information about participating, contact Susan West at ridgeroad@earthlink.net. Imagine being outdoors with the breeze of cool evening air and the still of the summer night all around you, sitting in the very location where colonists first came to settle the new world. The Waterside Theatre in Manteo on Roanoke Island offers a unique experience to watch the compelling mystery of The Lost Colony unravel before your eyes. In May, The Lost Colony kicked off its 73rd season of mystery, music, drama and dance. 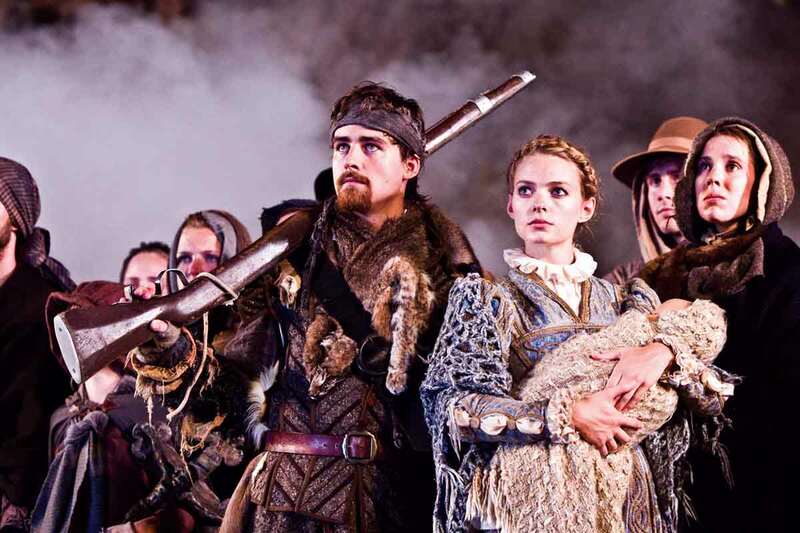 It is the nation’s longest running symphonic drama and tells the story of the first 117 English men, women and children settlers who came to be known as The Lost Colony. This show is truly an Outer Banks original. 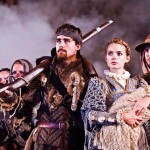 Written by Pulitzer Prize-winning playwright Paul Green, it was created in 1937 by a desire of the Roanoke Island community to honor the 350th Anniversary of the birth of Virginia Dare -the first English settler born in America. On July 4, 1937, The Lost Colony opened to a packed house, despite the economic hardship of the Great Depression. The show was intended to run only through the end of that summer. But when Franklin D. Roosevelt attended on August 18, 1937, the nation’s eyes were fixed on the production, assuring that there would be subsequent seasons. To purchase tickets or learn more, visit The Lost Colony. The cemetery on Ocracoke Island is officially located on British soil. It contains the graves of British sailors washed ashore after the wreck of the HMS Bedfordshire during WW2. Located in Nags Head, Jockey’s Ridge State Park is the home of the highest sand dune on the East Coast with peaks at more than 90 feet. 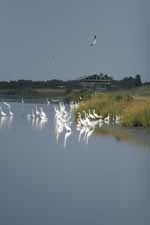 More than 400 species of birds have been identified at the Pea Island National Wildlife Refuge, located on the north end of Hatteras Island. The Life-saving Stations got the island’s first telephones in 1885. The most famous pirate of all, Edward Teach, alias Blackbeard, used to scour these waters looking for lightly armed merchants to rob. He eventually died in a fierce battle at Ocracoke Inlet. His flagship, the ‘Queen Anne’s Revenge’ has only recently been found off the coast and is now being excavated. But his treasure, rumored to be buried on Ocracoke Island, has never been recovered. According to the International Gamefish Association, the Outer Banks and the Virgin Islands are the most likely places to catch Atlantic Blue Marlin weighing more than 1,000 pounds.